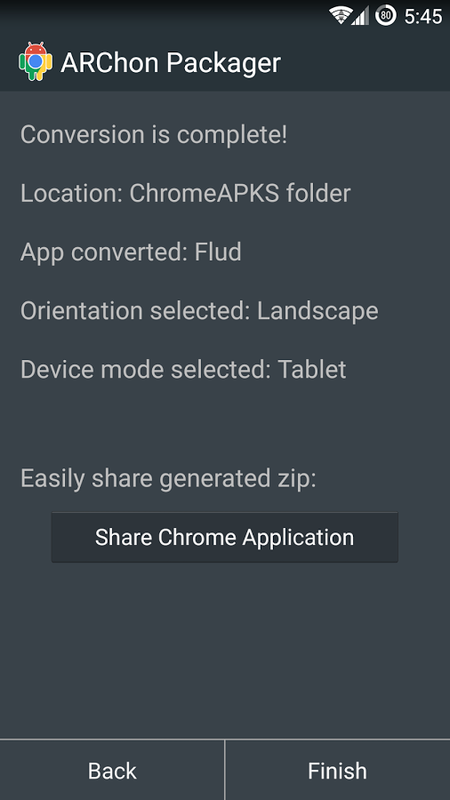 You can now use at least some Android apps as stand-alone Chrome extensions on your laptop or desktop, with a little bit of hacking. 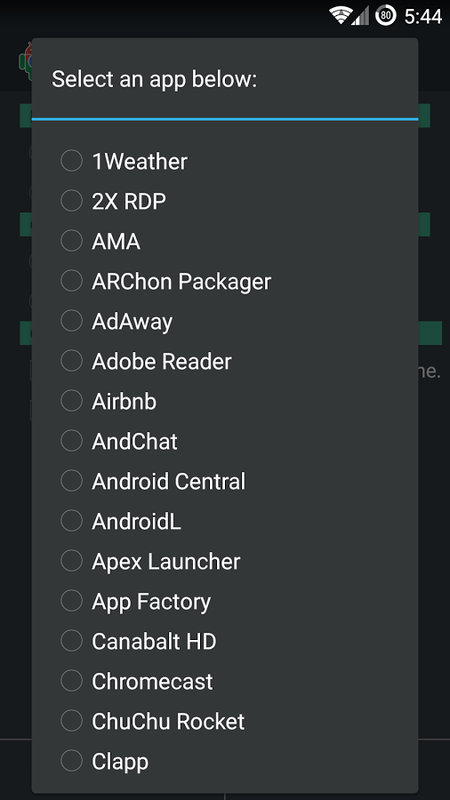 The handy Chrome APK Packager made that process much easier... at least until Google booted it off of the Play Store, presumably for a copyright violation. 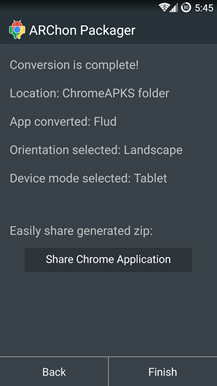 The creator of the tool, who goes by "bpear96" on XDA, said that he would have to change the name in order to keep the app on Google's playground. So now you can find the tool under the name ARChon Packager. 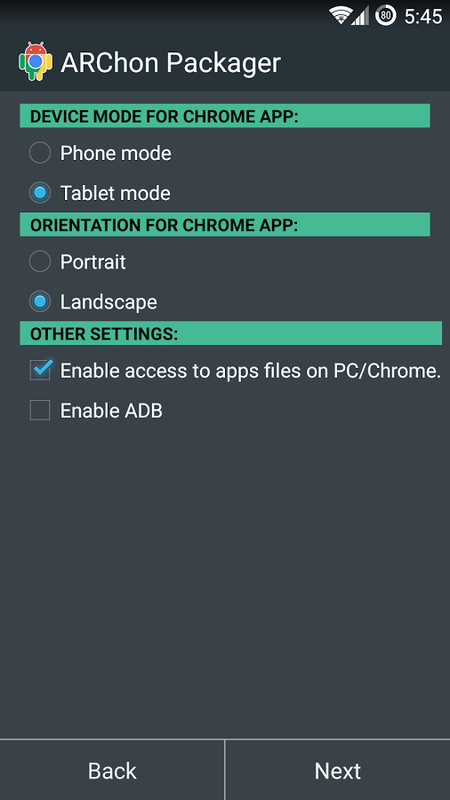 ARChon, of course, is the name of the desktop component that allows Chrome to load up Android apps. It's not perfect - plenty of apps simply don't work, including any that rely on Google services - but it's a pretty impressive feat nonetheless. 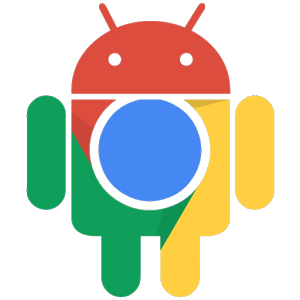 Hopefully Google will expand its initial offering in the future, opening the desktop browser and ChromeOS machines up to hundreds of thousands of easily-installed Android apps. Until then, this is a neat alternative. 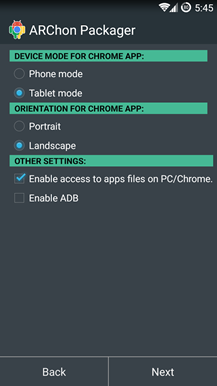 If you're getting into this repackaging business, be sure to make a stop by the /r/ChromeAPKs subreddit. 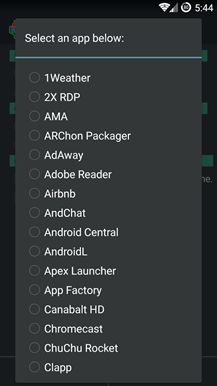 The enthusiasts over there have already put together a few pre-packaged Android apps for Chrome, and are working on getting some of the trickier apps and games functioning with tweaks or hacks.